Here's Howard Roberts again but this time as a leader. 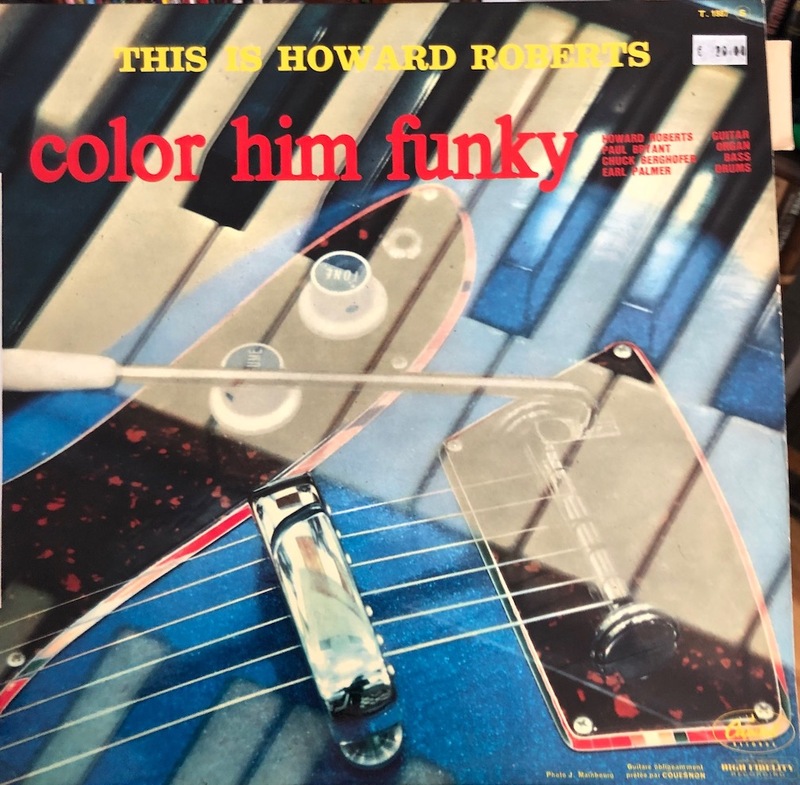 The record is called Color Him Funky. Everything about this record is great. Every track is swinging and spectacular and the album is one of the best organ combo recordings I've ever heard. And why not? Roberts has got Paul Bryant on organ, Chuck Berghofer on bass and Earl Palmer on drums. While everybody is absolutely perfect on this, and Roberts's guitar playing is thrilling and musical and exciting, it's especially wonderful to hear Palmer away from session work and really cutting loose. His feel and time and groove are all just fantastic. Two of the highlights for me are Jackie Wilson's driving "Florence of Arabia" and "Good Bye, Good Luck, I'm Gone!" which Roberts co-wrote with another ace guitarist, Jack Marsall. A pair of familiar standards get a sprightlier read than usual here as well. "What Kind of Fool Am I?" is surprisingly brisk, breezy and swinging, while the classic "Days of Wine and Roses" ups the tempo to the point of giving it an aggressive edge, a feel which makes the minor chords and blue notes cut a little more sharply. This is a really great record and I think it's available on CD, although I have only a vinyl release. Highly recommended!